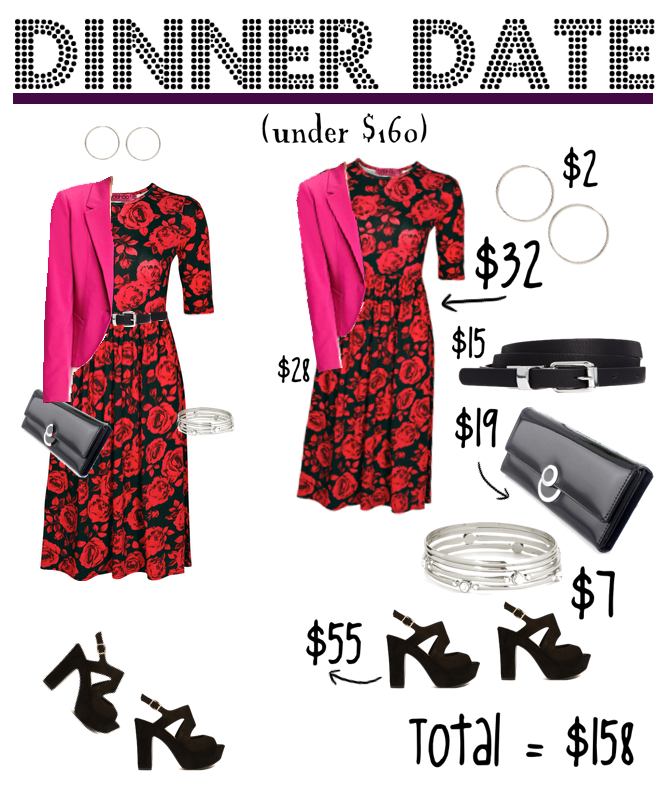 I thought this would make a fun change for a shopping post. 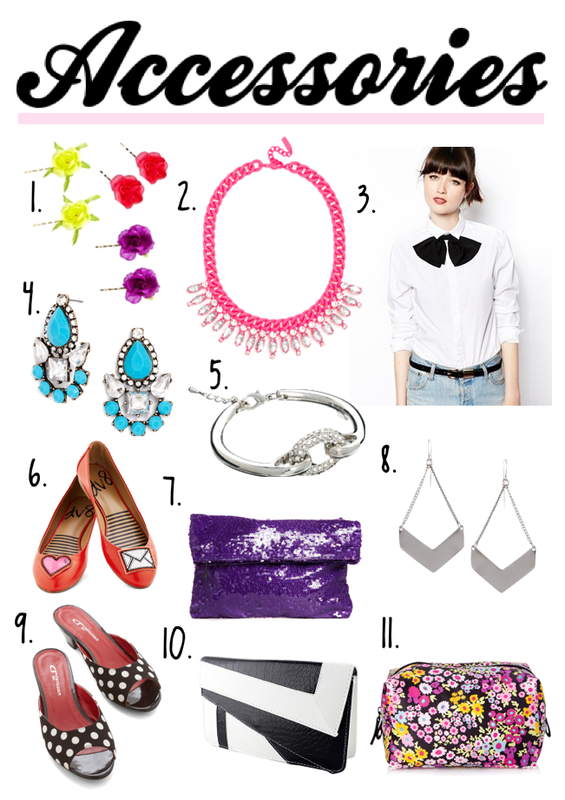 I’m a big fan a buying basics on a budget, there is something really satisfying about finding amazing pieces for a fraction on the cost and quite often the quality is pretty similar too. I hope you enjoy these, it was really fun to put together so will hopefully be doing more of these in the future. Please note that some of these links are affiliated which means I may earn a few cents for your clicks. I’ve been on the lookout for some new ballet flats recently. I really only need some new black ones as my current ones are wearing out but I thought a pair of coloured ones would be fun too. These are a few favourites I’ve found online so far. Which ones are your favourite??? 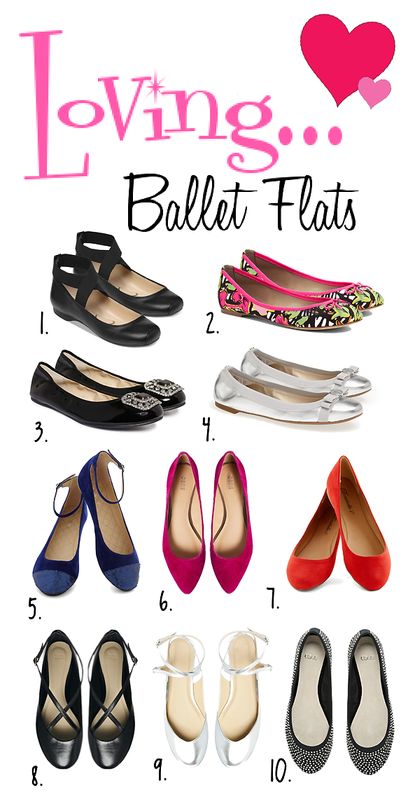 Do you love ballet flats too? 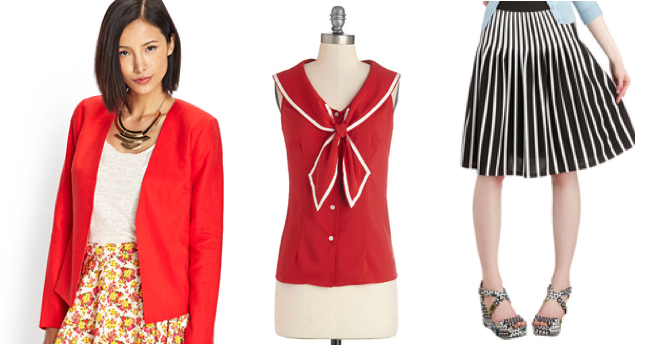 I love the idea of incorporating professional type attire into everyday, casual looks. 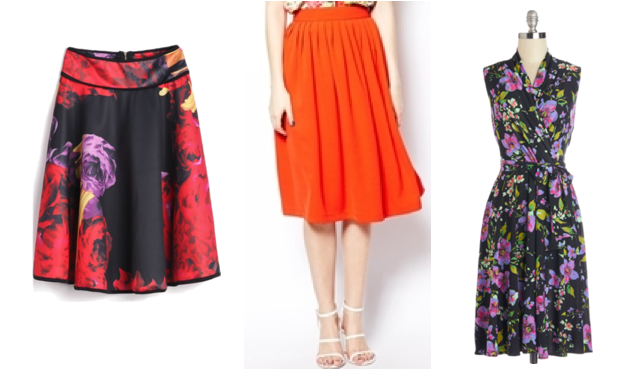 As black pencil skirts are a particular favourite of mine, I thought I’d try a few looks out with one. Generally, the less structure and more ‘stuff’ going on in an outfit (colour, texture, softer flowing fabric) the more casual the look will be. I think shoes, bag and hairstyle probably play the largest role in establishing the level of dress. 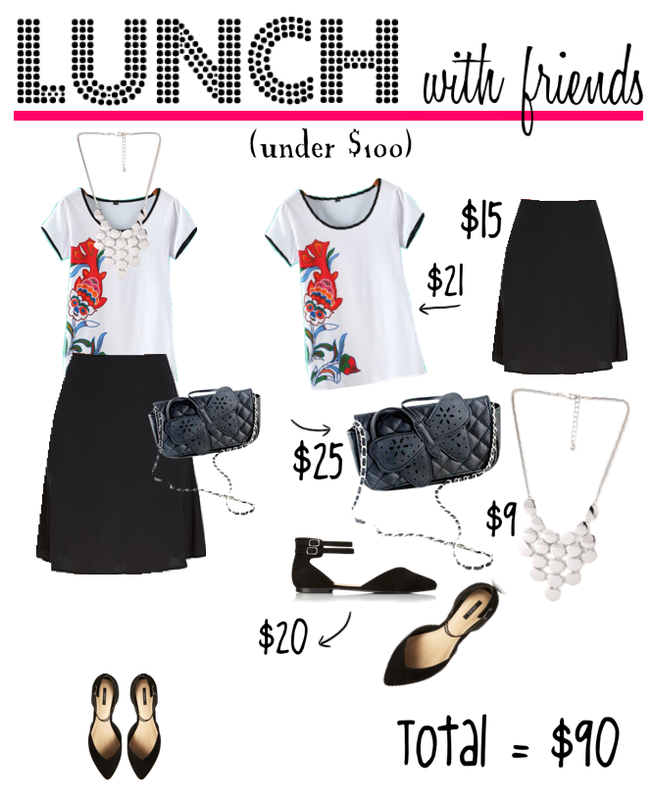 So, for more of a casual look think sandals, ballet flats or lace-ups, less structured bags and messy/fun hairdos. 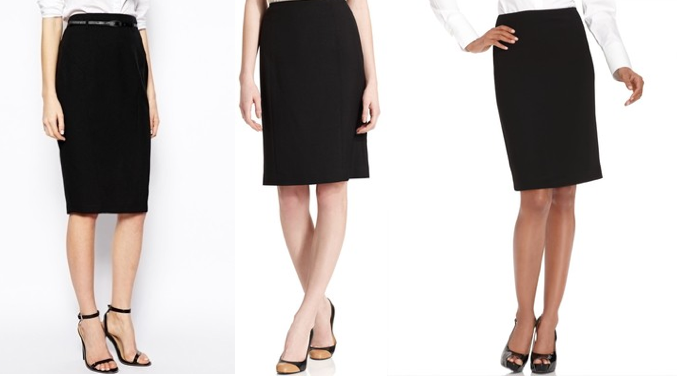 Here are a few black pencil skirts that are currently available. These are all under $100 and should be available internationally too. Macy’s actually has several more nice ones at the moment which I didn’t include here – so it’s definitely worth a look there if these ones don’t suit. 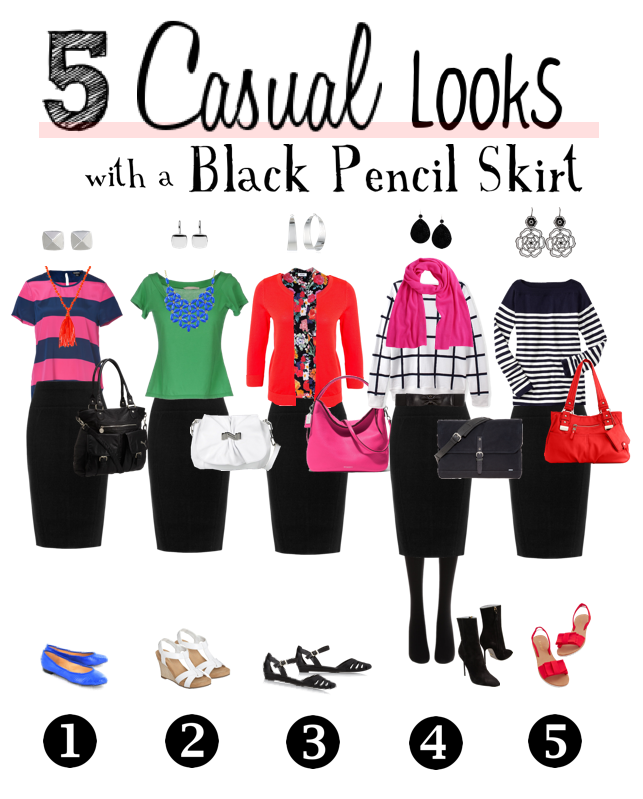 wear a black pencil skirt? Lots of lovely things around this week. I didn’t do too well in narrowing it down this time though. 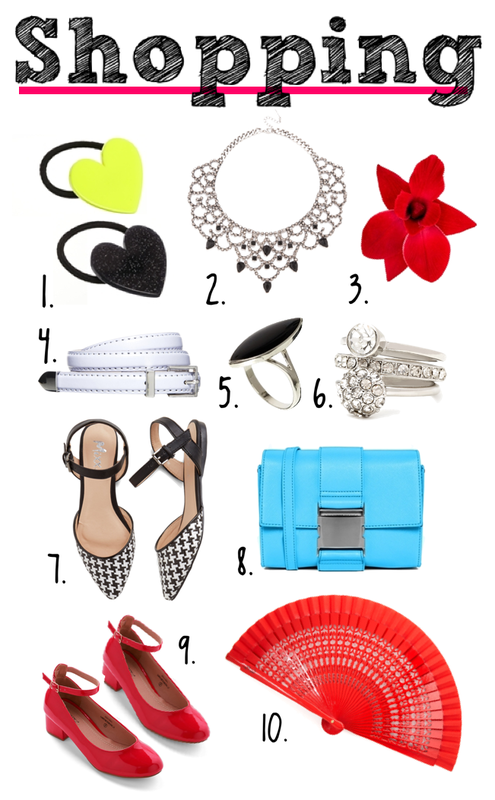 I love all the oranges and reds around but I have to say those houndstooth flats are a favourite. I thought the fan was really cute too. Just having a bit of a look at some online shops this evening – there are some rather lovely black and white pieces around at the moment – and these are under $50 too!